Includes the names: Kim Todd M.F.A. Kim Todd writes about science and the natural world. Her most recent book, Sparrow, part of Reaktion Books' Animal Series, explores the natural and cultural history of the much loved, much reviled, house sparrow, the most widespread wild bird in the world. A recent review in the Guardian called it a "charming celebration" (though the book discusses the negative impact of the house sparrow in the U.S. as well as other kinds of sparrows). Her second book, Chrysalis, Maria Sibylla Merian and the Secrets of Metamorphosis (Harcourt 2007) looks at the life of a pioneering explorer/​naturalist who traveled to South America in 1699 to study insect metamorphosis. The story also traces ideas about metamorphosis through time. The New Yorker called it a "spellbinding biography" and Kirkus Reviews lauded it as "a breathtaking example of scholarship and storytelling." It was selected as a Montana Book Award honor book, as one of the best science/​technical books of 2007 by the Library Journal, and as a "Book to Remember" from 2007 by the New York Public Library. Todd’s first book, Tinkering with Eden, a Natural History of Exotics in America (W.W. Norton 2001), tells the stories of non-native species and how they arrived in the United States. Species covered range from pigeons, brought over by some of the earliest colonists, to starlings, imported by a man who wanted to bring all the birds mentioned in Shakespeare to Central Park. The book explores our developing understanding of exotic species as we become more aware of the potential problems they may pose for native ecosystems. Tinkering with Eden received the PEN/​Jerard Award and the Sigurd Olson Nature Writing Award and was selected as one of Booklist’s Top Ten Science/​Technical Books for 2001. Her articles and essays have appeared in Orion, Sierra Magazine, California Wild and Grist, among other places. 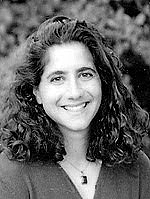 She has taught environmental and nature writing at the University of Montana, the University of California at Santa Cruz extension, and the Environmental Writers Institute. She currently teaches in the MFA program at the University of Minnesota, Minneapolis, and is a senior fellow with the Environmental Leadership Program. Todd has given talks at the Harvard Museum of Natural History, the New England Aquarium, the Getty Museum, the Commonwealth Club, Yale University, Bowdoin College, Wellesley College, the University of California (Davis), and many other venues. She has an MFA in creative nonfiction and an MS in environmental studies, both from the University of Montana, and BA in English from Yale. Kim Todd is currently considered a "single author." If one or more works are by a distinct, homonymous authors, go ahead and split the author. Kim Todd is composed of 2 names. You can examine and separate out names.